Color: Black watch and band. Boasts clear female voice, and large digital LCD display. 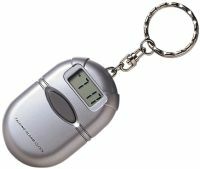 Has a fully adjustable plastic strap; buttons are on the side. Easy to use; reasonably priced. Uses 1 CR2016 battery (included). Here's a must for any blind person! 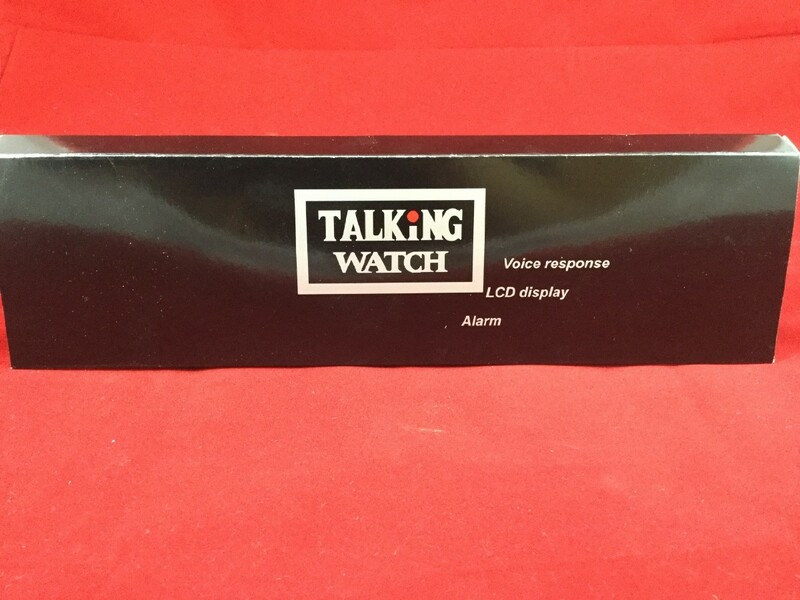 Whenever you tap the button on the side of this talking watch, a clear female voice will read the time to you. By pressing one more button, you can turn the Hourly Time Announce feature on or off. And at the touch of a few more buttons, you can set a beeping alarm to wake you. Perhaps best of all, every feature of this watch is totally accessible by a blind person. It's a piece of cake to tell whether the alarm is set to go off - and when, and to check if Hourly Report is toggled on or off. You can also set it to speak the time in either 12-hour or 24-hour military style. 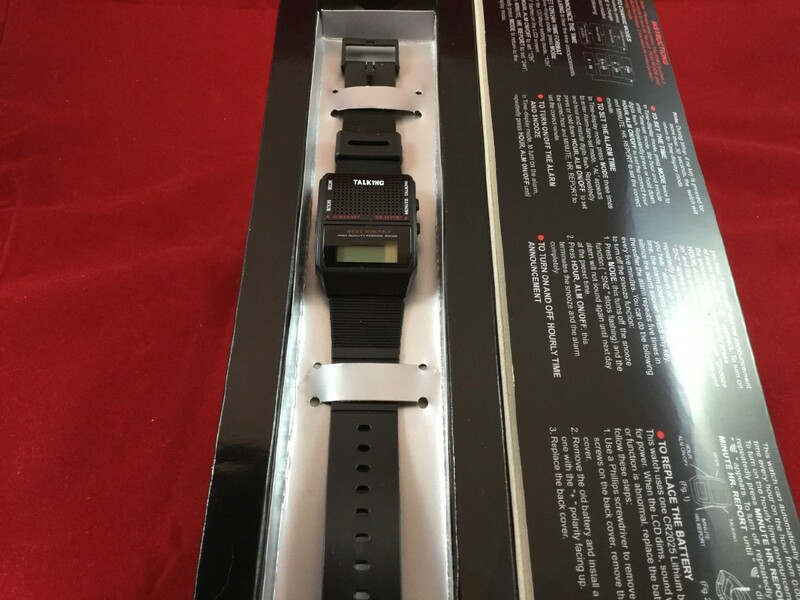 And of course, the watch has a large LCD display, and a fully adjustable plastic strap - meaning it can fit kids and adults alike. Directions for the Classic Talking Watch From Future Aids, The Braille Superstore. 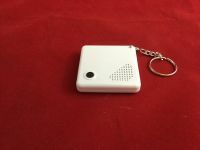 Place the watch on a table in front of you, with the metal clasp on the left, and the speaker facing up. The button facing you on your left is Mode. We will refer to this button as bottom-left. Before we begin, press Mode until four beeps are heard. Press Mode again, and Time Set is heard. Press the Minute and Hour buttons to set the time. Press Mode a final time. Four beeps are heard, and the watch is in normal mode. Press Hour to turn the alarm on and off.